(1)Our sales conditions apply exclusively. We do not recognise contrary conditions of the customer or conditions which deviate from our conditions of sale, unless we have expressly agreed and in writing. (2)The business relationship between Illuminate Cosmetics GmbH and the customer are subject to the law of the Federal Republic of Germany, excluding UN-law. (3)The contractual language is German, translations into other languages are not legally binding. 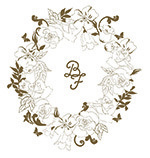 Submitted offers in our online shop www.belle-fleurelle.com are binding. The contract shall take effect on sending the online order by the purchaser. The prices valid at the time of the order being placed are decisive. All price indications and charges are tobe understood as net, plus the current rate of value added tax in the amount of 19%, plus the shipping and handling charges. Within Germany we offer free shipping. At the moment we only shop to Germany and Austria. Please note that the shipping cost for Austria is not included in the prices displayed in the web shop. The shopping cost will be calculated and displayed when you check out your items. We will soon ship to more EU countries as well. Delivery by Illuminate Cosmetics GmbH essentially only takes place after payment is received. Exclusive method of payment is Paypal. The customer shall have a period of fourteen calendar days in which to withdraw from the contract without giving any reason. The cancellation period will expire 14 days from the day on which you aquire (, or a third party other than a carrier and indicated by you acquiries) physical possessions of the last of the goods. To exercise your right of withdrawal, you must inform us by a written, and therefore express, declaration of withdrawal (e.g . : by postal mail or e-mail) about the decision to withdraw from this contract. You can use the attached withdrawal form, but this is not required. To maintain the cancellation period, it shall be sufficient if the customer sends the declaration of withdrawal before expiry of the revocation period. If you withdraw from this contract, we will make reimbursement without undue delay and within 14 days from the date on when we received the notification of your withdrawal of this contract. For the repayment, we use the same method of payment that you used in the original transaction, unless it has been explicitly agreed something else with you; in any case we will charge fees for this repayment. In the event that we have sent goods to you and you have cancelled your order, we may withhold reimbursement until we have received the goods back or you provided us with evidence that the goods have been returned to us, whichever is the earliest. without undue delay and in any event no later than 14 days from the day on which you communicate your cancellation of the contract to us. The deadline is met if you send the goods before the period of 14 days has expired. The customer shall only be liable for any diminished value of the goods resulting from the handling other than what is necessary to ascertain the nature, characteristics and functioning of the goods. The right of withdrawal expires prematurely in contracts for the supply of sealed goods which are not suitable to return for reasons of health or hygiene when they were unsealed after delivery. If you wish to withdraw from this contract, then please fill out this form and send it back to us.